I appreciate all your help and great work! Many years ago I broke three of my front teeth and when I moved to the DC area I knew I would need a good dentist, because these crowns would ultimately need replacement. 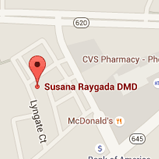 Thankfully I was referred to the best practice in Burke, VA in Dr. Susana Raygada about 11 years ago. Over this time, in addition to regular check-ups, I am in the process of having my front teeth replaced. She developed a personalized and well coordinated plan for temporary and permanent options. Her attention to detail on each crown is unmatched and the results are amazing. 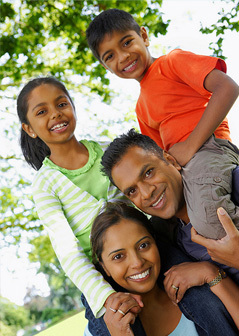 I highly recommend Dr. Raygada and greatly appreciate all the great care she and her wonderful team provide.